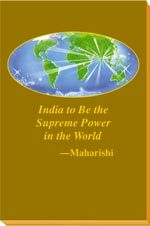 All these publications are the waves in the ocean of knowledge—the Self of every individual—Atma—and the Self of the whole universe—Brahm, Totality. All this knowledge offers to open the gate to perfection in life. 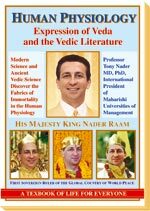 The message is that the individual is essentially Cosmic, and all that is to be known anywhere in the universe is encoded in the DNA of every cell in the human physiology. 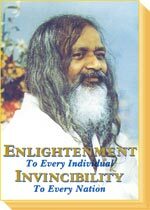 This means that all the knowledge, all the intelligence, all the organizing power displayed in the whole creation is available to the individual within his own mind and body. 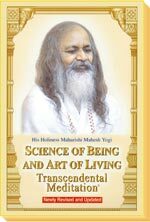 Maharishi’s Vedic Science and Technology of Consciousness is the natural and effortless means for every individual to unfold his Cosmic Potential, and enjoy greater success and fulfilment in life. 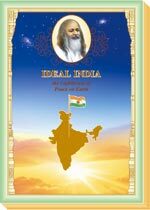 This book contains Maharishi’s address to political leaders of India (actually meant for political leaders of the world), on 26 May 1986, at Maharishi Nagar, India. 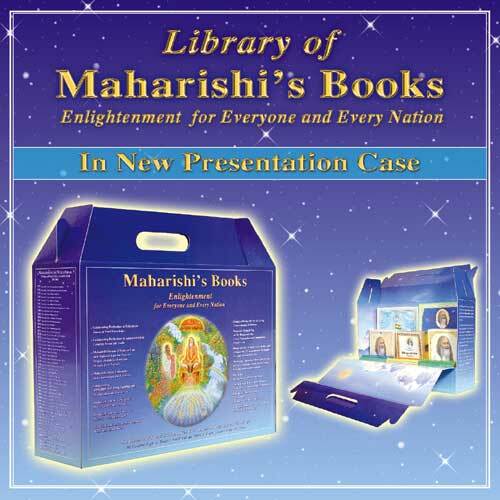 These are the main points of knowledge from Maharishi’s lectures to educators around the world from 1970 to 1986. 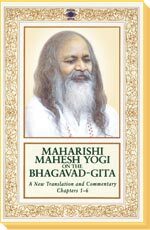 These are the main points of knowledge from Maharishi’s lectures to students around the world from 1970 to 1986. 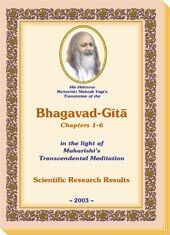 This volume provides the timeless, practical wisdom of the Bhagavad-G¡ta along with scientific research on Maharishi’s Transcendental Meditation and TM-Sidhi Programme for each verse, demonstrating how the eternal Vedic Principles for unfolding the total potential of human life, voiced in the text of the Bhagavad-G¡ta, can be employed by any individual in any age through the scientific technologies of Maharishi’s Vedic Science. 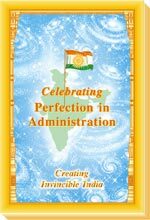 A4 size, 610 pages, full colour book with beautiful charts and diagrams, large gilded softcover edition. Over 5,000 pages, printed on high quality paper, large five-volume softcover edition. 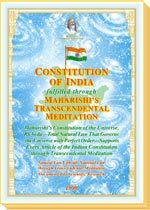 These volumes contain 600 scientific studies which objectively document the benefits of Maharishi’s Transcendental Meditation and TM-Sidhi Programme, conducted during the past forty years by researchers at more than 200 independent research institutions in thirty countries around the world. 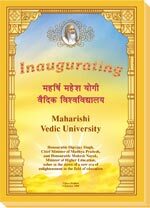 by renowned scientists and experts in the application of Maharishi's Vedic Science for the enrichment of all areas of life, including health, education, rehabilitation, and government.